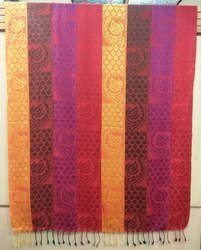 Our product range includes a wide range of viscose multi jamawar shawls, viscose jacquard jamawar scarves, jamawar printed shawls, viscose shaded shawls and 100% viscose jamawar jacquard shawls. We specialized in OEM, wholesale and promotional item. 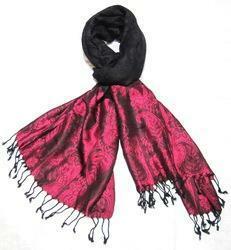 We also make in hip scarves, scarf, stole, scarves, shawls, paero, sarong, Beachwear, Kurtis, belts, etc. 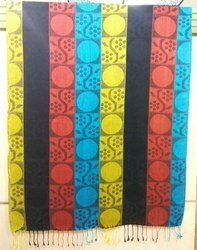 Visiting Bombay for hip scarves, scarfs, stoles, bandana, kurtis, pareos, sarongs, beachwear, belts, etc. 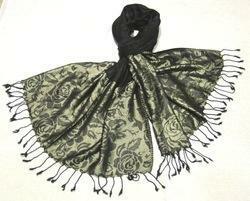 Looking for Viscose Shawls ?